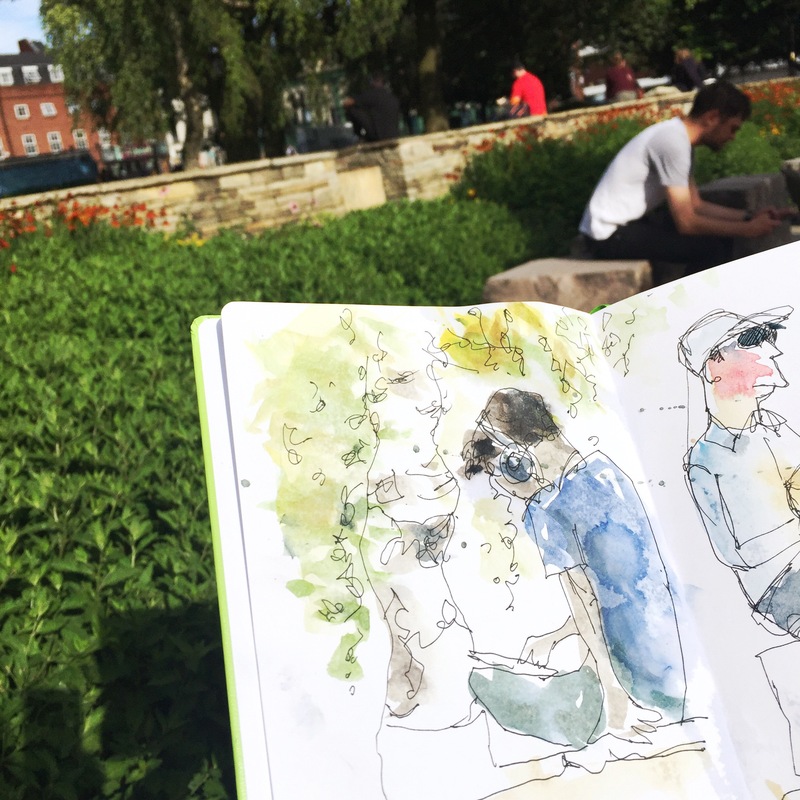 After getting my bearings and adjusting to the scale of the place, I found a spot in the All Saints park near The Manchester School of Art to sit and draw all the urban sketchers. The city of Manchester is more beautiful than I had imagined – truly a city of contrasts. Victorian detail in brick and stone set against the minimalistic lines of glass and steel. The city has a pulse! But to get started after taking a 2 month break from drawing to take care of other projects – the only way was to jump right in with loose contour sketches of people. I needed to start by just dropping a line! Contour drawing never fails to push through inhibitions and remind me that sketching is a joyful practice. There are 500 participants from 44 countries attending the Urban Sketchers Symposium in Manchester. Seeing so many other people who love to draw and capture the spirit of the city in their sketchbooks sure makes me feel at home here.